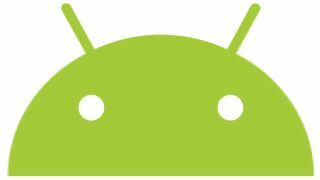 There have now been over 500 million Android devices activated worldwide, and 1.3 million are added every day. Hugo Barra, Google's Director of Product Management for Android took to the search giant's social network, Google+, to make the announcement earlier today. This is a considerable gain from February this year, when Andy Rubin confirmed 300 million Android devices had been activated, at a rate of 850,000 a day. Google has been aided in the past six months by a dip in iPhone sales, as consumers hold off for the iPhone 5, and some have probably got fed up with waiting and plumped for Android instead. Big hitting handsets will have also helped Android cement its position in the market, with the likes of the Samsung Galaxy S3 and HTC One X proving popular. As Android flies the flag of victory, it may be looking over its shoulder as Apple takes the stage later today to show off its new iPhone, the sixth generation of the handset which is seen as the catalyst for the smartphones we now can't be without.